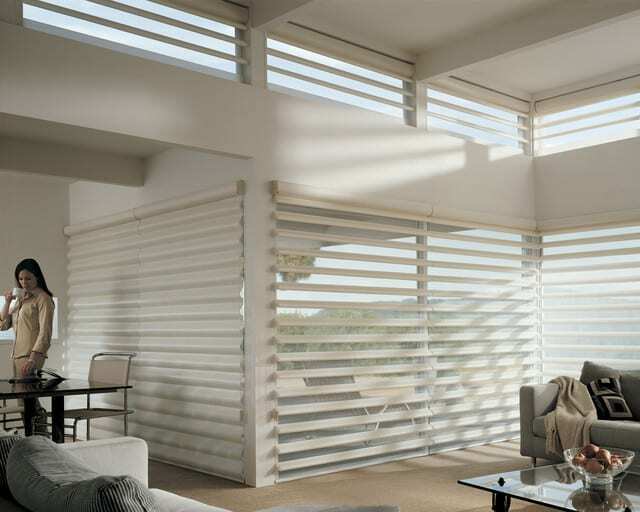 Duette: Duette® Honeycomb Shades are the original cellular shades, specifically engineered to provide beauty and energy efficiency at the window in both cold and warm climates. Their honeycomb construction traps air in distinct pockets, which creates insulation that can help lower your energy consumption and energy bills. 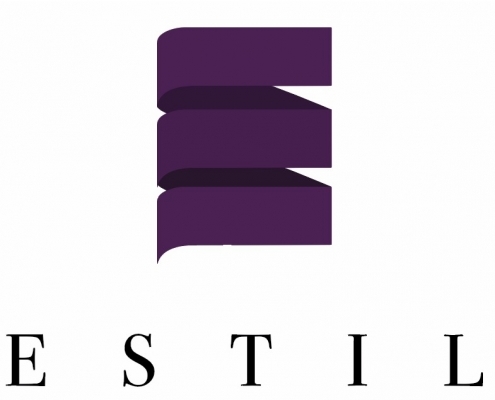 Silhouette: For over 25 years, Silhouette® Window Shadings have been the leader in light diffusion with specially crafted fabrics that transform harsh sunlight into beautiful ambient light. With no cords or tapes, the sheer facings allow you to view through the vanes to the outside, while maintaining a discreet level of privacy. The brilliantly engineered shadings feature soft, adjustable S-shaped vanes that appear to be floating between two sheer fabrics. Simply tilt the vanes to achieve your desired level of light and privacy. Perfect for the modern home. 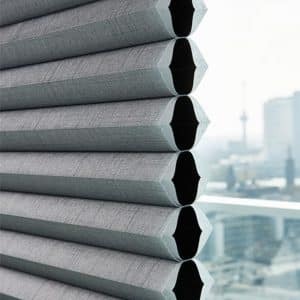 Pirouette: Pirouette shadings feature softly contoured fabric vanes that magically open and close to give you complete control over your desired degree of light filtration and privacy. Our revolutionary Invisi-Lift™ system allows the vanes to float gracefully on a single sheer backing. Vanes can be flattened for complete privacy or blossomed open to any position to invite incoming light and provide a view to the outside. They block up to 81% of harmful UV rays with the vanes open, and 99% with vanes closed to help protect your furnishings and extend their life. 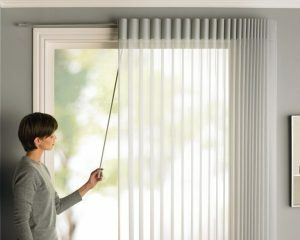 Luminette: Luminette® Privacy Sheers combine a sheer fabric facing with soft, vertical rotating vanes affixed to the back of the sheer. They provide the ethereal beauty of sheer drapery panels along with variable light control and privacy, and are the perfect choice for wide expanses of glass, sliding doors, and other vertical applications. With the vanes rotated open, the sheer fabric diffuses and disperses the sun’s rays into soft, natural light to illuminate the room. Rotate the vanes to direct the light where you’d like it, or close them to enjoy the privacy of traditional draperies.